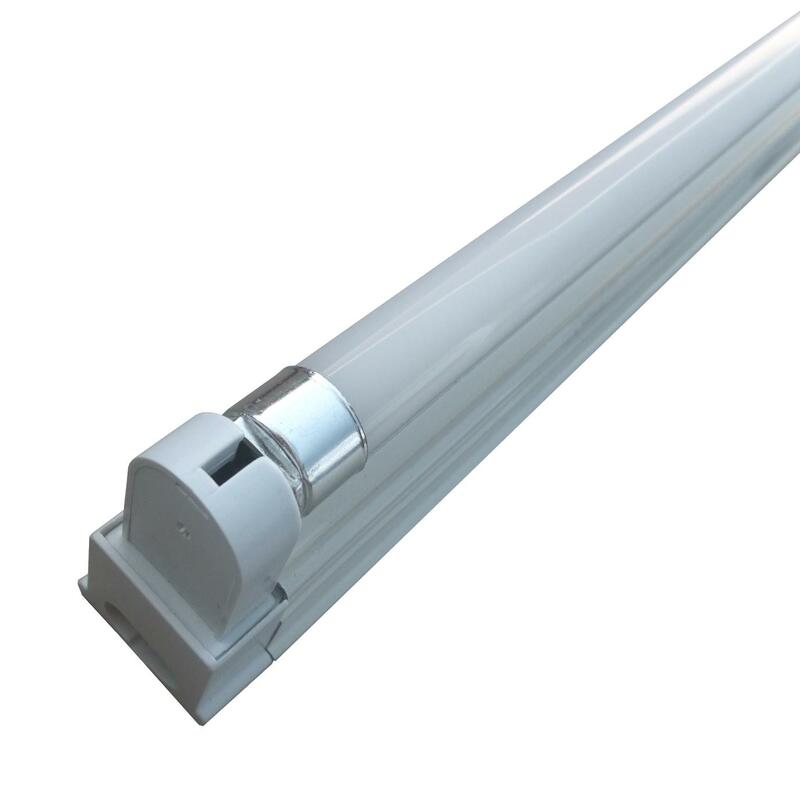 The T5 LED tube lamp replaces a standard T5 fluorescent tube lamp. With two variants, it is available as a lamp plus transformer option to retrofit into your existing T5 fitting or with integral housing. 1. What are LEDs and how do they work? Light Emitting Diodes (LEDs) are miniature lights produced by moving electrons in a semiconductor. Located witthin the LED is a semiconductor diode, which emits light when voltage is applied to it. Incandescent lights work by passing a current through a tungsten filament, which causes it to heat up until it glows. This is an extremely inefficient method of lighting as most of the energy is wasted in producing heat rather than light. Compact Fluorescent Lights (CFLs) contain argon and mercury vapour. When electricity passes through the tube, these gases produce ultraviolet light which then excites the tube’s phosphor coating to produce visible light. LED lamps have an average rated life of 50, 000 hours. In comparison, incandescent or halogen lights and CFLs, which have an average life of 1000 and 10, 000 hours respectively. Uses up to 92% less power than its conventional equivillent, immediately saving you money on power. It continues to save you money on maintenance costs as a longer lifespan means lighting is replaced less frequently (saving you manpower and product costs). As the bulbs don't over heat, you spend less money on cooling costs as rooms. Environmentally friendly - LED lights contain NO mercury, UV or pollutants and have low CO2 emissions. Instant bright lights - LED lights when switched on produce an instant bright and natural light - meaning no waiting time for lights to warm up. Most of our LEDs are designed to retrofit into existing fittings, this means that chaning them is as easy as, well, changing a light bulb. With lifespans of up to 100, 000 hours they are low mainatinence. Lasting 20-50 times longer than halogen and incandescent bulbs, robust and versatile construction, and typical operating life between 5,000 and 100,000 hours. Our LEDs come with a 3 year warranty and minimum hassle.